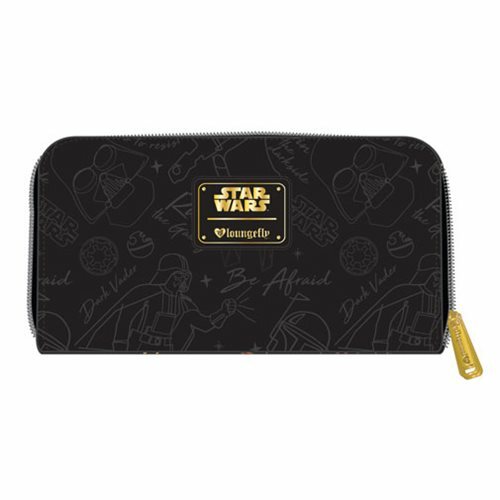 Show off your Star Wars pride with this Star Wars Darth Vader Minimal Black Zip-Around Wallet! This Sith-approved design is made of faux leather, with debossed details. The wallet measures approximately 8-inches tall x 4-inches wide.